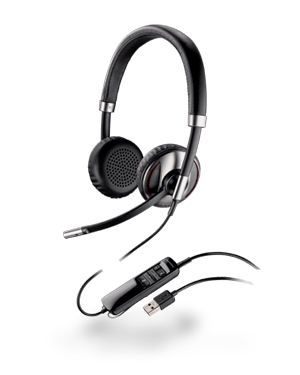 The Plantronics Blackwire C720 Foldable Stereo USB Headset, Bluetooth, Sensor Tech, & Case is a complete package of a Bluetooth-enabled corded USB headset integrated with Smart Sensor technology. The device is popular for combining ensured reliability with top-notch wireless flexibility. This versatile UC headset allows smooth Bluetooth connection to mobilde devices, including mobile phones and tablets. This connection enables users to access all calls, from softphone and devices connected, through the headset. 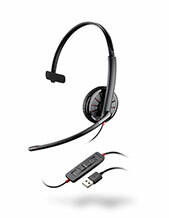 Plantronics Blackwire C720 Foldable Stereo USB Heaset delivers its users comfort through its soft ear cushions. It also delivers convenience with its detachable cable, integrated clothing clip, and portable carrying case, making it perfect for users that need to manage calls wherever they go. And to top it all, this device delivers unmatched sound clarity through the technologies and functionalities integrated in it. Some of which include PC wideband audio quality, Hi-Fi stereo sound, and noise-cancelling microphone, which all can help in promoting crystal clear conversations. This makes it perfect for webinars and conference calls. Do you want to have more information about this headset? Call Australia wide 1300 131 133 now! 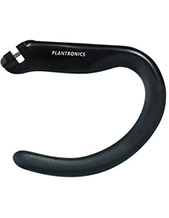 Plantronics is an American consumer electronics company that was founded in the year 1961. Currently headquartered in Santa Cruz, California and headed by President and CEO Joe Burton, the company has made its name as one of the best developers and manufacturers of audio communications equipment and solutions. The company is well known for the contribution it offers the industry and market, from the unified communications support to headsets and audio devices for music, gaming, and mobile usage. While operating in the global market, Plantronics has its manufacture and production floors installed in Mexico and China. The company also operates in more than 80 countries in Asia-Pacific Region, Europe, and North America with the help of many partner distributors, retailers, and service providers worldwide. The company offers wide selection of high quality sound and audio products, including business and consumers office and home headsets, gaming headsets, and mobile, corded, and Bluetooth headsets. It also offers speakerphones and headphones. An Australia-owned and –operated consumer electronics provider and supplier, Headsetsonline Pty Ltd is proud of being one of the online stores that offer broad range of options in terms of products and solutions. The company offers brand new, second-hand, and refurbished audio products and solutions which it sourced from reliable Australian distributors and not grey imports. This small decision ensures that all offers from the company have high quality and are Australian standards certified. Another important fact about it is that the warranties that come along with the products and solutions are guaranteed to be applicable Australia wide. 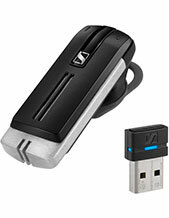 Headsetsonline is an online store that operates through its site at Headsetsonline.com.au. The site houses the company’s entire product portfolio and is the avenue of all the company’s transactions, which is why it is protected and secured with encryptions. Its site uses the same security logins as banks, which includes 2048-bit root encryption and 256-bit identity authentication. It also has GeoTrust True Business ID with Extended Validation.